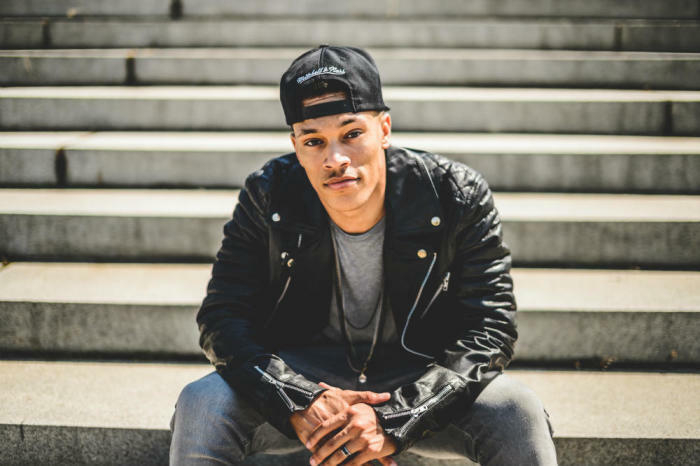 Editor's note: This is part one of a two-part interview with rapper, pastor, and author Trip Lee about his latest projects, his thoughts on U.S. Christianity, his new church plant, and his perspectives on race as a black man in America. Read part two here: Popular Christian Rapper Talks Race, the Church, and Why It Could've Been Him. Rapper Trip Lee, born William Lee Barefield III, seems to have many things going on — a new book, a top-charting album, and a new church he's helping to plant in Atlanta. Yet, the married father of two insists he's a pretty boring guy. Lee's also kicking of a tour at the end of January for his fifth and latest LP, Rise, which debuted Oct. 27 at No. 2 on Billboard's Rap Albums chart and No. 1 on the Gospel Albums chart, in addition to charting strong in other categories. His new and second book, Rise: Get Up and Live in God's Great Story, is slated for a Jan. 27 release, but has already broken into the top-30 of a few categories on Amazon. Rise, the follow-up to his premiere title The Good Life (also tied to his fourth LP of the same name), is essentially meant to inspire youth to seize the day. The Christian Post, talking to Lee on Jan. 14 via phone on occasion of his new book, asked the 27-year-old recording artist if there was anything that he's really horrible, or secretly great at that his fans might not already know about. Like, does he kill plants? "I'm not good at very many things," Lee admitted. "The stuff I'm good at tends to be the stuff that people know me for." He added, after a chuckle, "I was bad at keeping my lawn alive in D.C. It died pretty quickly." And while he certainly might be an aficionado in basketball, it appears to be for all the wrong reasons. "I'm very good at watching basketball and wearing basketball shoes," Lee told CP. He did admit that he's a pretty good shooter — if "nobody's guarding me." "I'm kind of a boring person," he finally settled. "People think I get to travel the world and I rap or whatever, but I'm pretty boring. My life is pretty crazy enough, and when I'm not on the road or doing something, I'm kind of boring. I don't' really have lots of hobbies. I like to read and hang out with my family. I'm a pretty boring person beyond that." Lee is a pastor at Cornerstone Church in Atlanta, the homebase of his record label, Reach Records, partly headed up by fellow Atlantan and rapper Lecrae. He moved at the end of December from Washington, D.C., where he served at the Mark Dever-led Capitol Hill Baptist Church, to help launch Cornerstone. In addition to trying to get Lee to reveal any previously undisclosed secret achievements or ambitions, CP asked the award-winning rapper to name some people he admires (Jay-Z is one); to share what kind of music he's listening to nowadays (J. Cole); and for his thoughts on what he believes some churches in America are getting all wrong. CP: Who are some of the folks that you look up to or admire for whatever reasons? Trip: That is a broad question, which may be hard for somebody like me who … I feel like I can be inspired by people who kind of do a little bit of anything. I'm sitting in my office right now and looking at my bookshelves. There are many authors I admire for doing what they doing well, who are an inspiration to me. You know, I'm looking at a Malcolm Gladwell book sitting in front of me. Malcolm Gladwell is an incredible writer and he's inspired my writing in that — and this isn't to say that I agree with everything Malcolm Gladwell says or his conclusions. But you'll be reading his book and you'll just be enjoying the story he's telling and not even realize the points he's making. I think a lot of Christians' books can be basically just like sermons on paper and not very engaging to read. There's a C.S. Lewis book in front of me. He's a writer who's influenced me a lot, not that my writing style is like his. But the kind of precision and simplicity ... the beauty of the arguments he makes to persuade people. Just the beauty of (his) writing. I can think of many artists I've been inspired by, from someone like Ambassador who's a rapper who I really grew up loving as I was really starting to follow Jesus, to a Jay-Z who is an incredible artist and businessman (for) what he's done in hip-hop. I'll obviously have major disagreements with things that he'll say and do. I'm the type of person who tries to find inspiration. … I know God has made all of us in His image and has given us gifts, and so because of that, because all of us are made in the image of God, I can learn something from anybody. The reason that people do things well isn't just themselves, it's because they're made in God's image and the gifts that God has given them. I think it's a very godly thing for us to even learn from people who we disagree with in major ways. So I can find things that I've learned from and admire and am inspired by really in any sphere of life from people doing things in an excellent manner. CP: Whose music are you bumping nowadays? Trip: I'm all over the place with music. I listen to a little bit of anything. I go through stages musically. So Sunday, I was listening to some gospel music, a mix of random black gospel music that I like (such as Kirk Franklin). ... Yesterday, I was listening to a little bit of J.Cole's album. He's a rapper who I can learn a lot from in terms of how he excels in his craft. There's a lot of hip-hop that I have to be careful about listening to because it's not good for your soul. But I'm always listening to a little bit of everything. Some things are just encouraging that I enjoy listening to. Some things that I listen to [are more] to study and learn (from) and grow in my own craft. Listening to an album is like watching a movie for me, something I'm very engaged in and love. It's not just something I have on in the background while I do other things. Music is a very full experience for me, and I love listening to full, great records and bodies of work. CP: Do you have a favorite, a classic album that you find yourself pulling out once in a while? Trip: There are lots of those for me. It would be way too hard to name one. CP: We know the Christian church in America is not a monolith, but what would you say are some things the church in the U.S. is doing right? Conversely, what are some things you think the U.S. church has gotten wrong, or just needs to work on? Trip: That is a very hard question because there's so much diversity. ... There are different kinds of groups of Christians or denominations or churches who do some things well and poorly. I have been encouraged by what I think is a resurgence in a lot of sound, biblical teaching. In some sects or tribes of Christians in the States, I think the Internet in many ways and the resurgence of some books being published and conferences — there has been a resurgence of a lot of sound, biblical teaching, which I think is a really good thing. In terms of things the church can do better, there are … I hope we get to a place where Sunday morning gatherings of Christians of local churches … we are at a place where we kind of treat those like concert events. For somebody who's a local church pastor and an artist who does events, I see very strong distinctions between my goals in the way I approach putting on a concert event to how a Sunday morning should look. One is a family time where the church gathers, and one is an event that is in some ways to entertain, in some ways to encourage and can have lots of bells and whistles. I think we're often too attached to those bells and whistles when it comes to family time in the meeting of the church. Not to say that any bells and whistles are wrong, but I think we've become attached to them. And I think we've kind of erased the distinction between a big event that lots of people come to and what it means for a church to gather around God and His Word to do things He's called us to do together when we gather to worship. So I would love the American Church to be focused on what it is the church is called to and what it is we're supposed to do when we're gathered together. Not just a big show to sing some random songs we like, but it's to gather around God's Word and to pray together, and sing songs to Jesus together. And that can happen whether you have some amazing set and video things or whatever, or if you're just meeting in a regular room. That doesn't mean the church is any less effective or fruitful. I would like us not to get attracted to those things and the big attractional things and the big preachers who can gather thousands. That's not what it means to be a church. Those things can sometimes help serve the church, but they can be a distraction if we're not careful.